Wolf Parade/Sunset Rubdown member Spencer Krug has continued to carry a prolific recording career with his Moonface project. Refusing to slow down, he's announced a new album from the group. 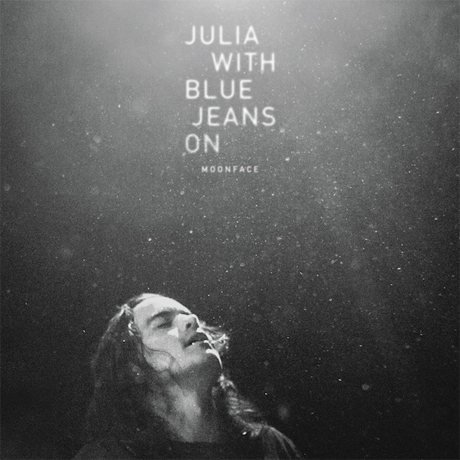 The upcoming Moonface LP marks the fourth release from the project since 2010 and will be caled Julia With Blue Jeans On. While previous albums have seen all sorts of collaborations, including 2012's collaboration with Finnish experimentalists Siinai, this one sees Krug going it alone with simple singing and a piano. Julia With Blue Jeans On will be available on October 29 via Paper Bag (with Jagjaguwar handling the American release of the record). Check out the tracklisting below along with a stream of "Everyone Is Noah, Everyone Is the Ark."